Go beyond Full HD 1080p with the silver anodized aluminum 13.3" XPS 13 9350 Multi-Touch Notebookfrom Dell. Featuring a 13.3" QHD+ InfinityEdge IGZO IPS display, the XPS 13 has a 3200 x 1800 native resolution. The display is also a touchscreen so you'll be able to utilize the multi-touch gestures incorporated into Windows 10. Since the screen has a 16:9 aspect ratio, it supports 1080p Full HD content natively with no or minimal letterboxing. The visuals are handled by integrated Intel HD Graphics 520 and the display also has a brightness of 400 cd/m2 and viewing angles of 170°. The system is powered by a 6th-generation Skylake 2.3 GHz Intel Core i7-6560U Dual-Core processor that allows you to run multiple applications simultaneously. If you need more power, the processor also features a burst speed of up to 3.2 GHz, and the system's 16GB of 1866 MHz LPDDR3 RAM allows the computer to quickly access frequently-used files and programs, as well as help to ensure efficient multitasking. For long-term storage of your files, the XPS 13 9350 has a 512GB SSD. 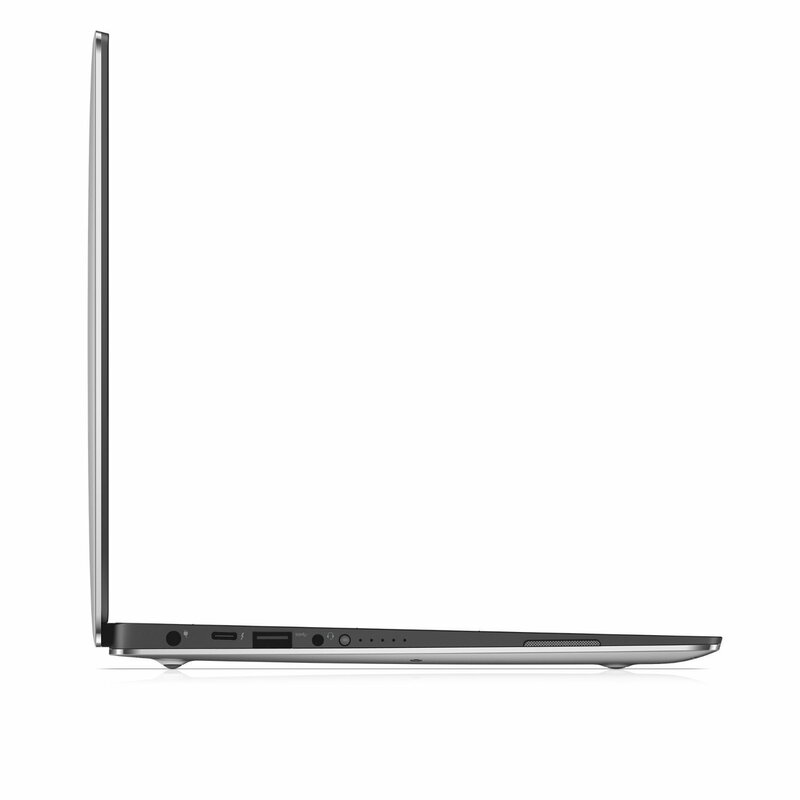 For connecting to the Internet, this notebook is equipped with dual-band 802.11ac Wi-Fi. External peripherals, such as additional storage, optical drivers, printers, and more may be connected using the 1 x Thunderbolt 3 port, which supports native DisplayPort 1.2 video output. VGA, HDMI, Ethernet, and USB Type-A may be output using a separately sold Dell adapter. The system also has 2 x USB 3.0 ports, one of which has PowerShare technology for device charging, even if your system is turned off. Additional compatible peripherals may also be paired using Bluetooth 4.1 technology. The 13.3" XPS 13 9350 Multi-Touch Notebook includes an AC adapter and a 4-cell / 56Wh Lithium-ion battery that lasts for up to 18 hours before recharging is required. The installed operating system is Windows 10 Home (64-bit).